The exquisite Empire Club of Little Ferry, NJ has the latest in décor, the finest cuisine and the most attentive staff. With Mystical Entertainment keeping the momentum energized and upbeat, any occasion is sure to be a major sensation. We understand both the importance of your event and the need to be unique and special. Our expert team focuses on your personal requirements while directing a flawless occasion. We are able to coordinate the finest weddings, Sweet 16 celebrations, Bar Mitzvahs, Bat Mitzvahs, Casino Nights and any other experience that has to be just right. 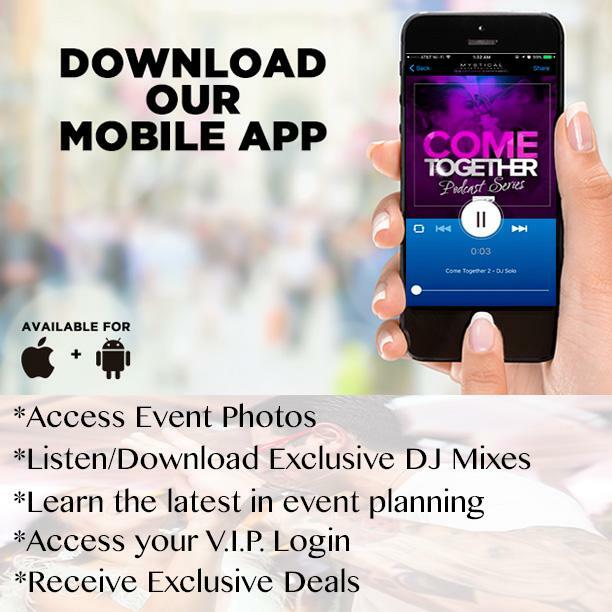 On our team we have DJs that know the tunes and the moves for you, the finest chefs and the most up to date and beautifully renovated facility for today’s tastes. All of our assets are combined to complete our mission which is to produce the affair of your dreams. Timing, talent, cutting edge equipment, musical knowledge and insight are critical qualities of DJs who keep events hopping and moving. Mystical Entertainment knows how to maintain an upbeat tempo to any party and yours will be the best. Important moments, special guests and custom numbers let both the individuals and the guests shine and have the best day ever. Mystical Entertainments productions are the greatest fun and seem wonderfully spontaneous, but they are planned and scripted perfectly by today’s best entertainment professionals. Experts declare that selecting and reserving the choice venue is the most important first step for once in a lifetime events. Without a choice location and a firm date assured, the planning process stalls. Book your wedding today at the luxurious Empire Club to allow plans to proceed and meet expectations. The guarantee that the most important event you will ever plan will be in the best location on the day you choose is liberating and allows you to focus on all other important details. The magnificent Empire Club is standing by with Mystical Entertainment and is prepared to produce the ultimate wedding, Sweet 16 party, Bar or Bat Mitzvah, Casino Night or any major event for you that demands perfection.